Thanks for all the information about farmed salmon. I had no idea Atlantic salmon was grown in such nasty conditions. The other day at a restaurant, I had the following grilled seafood choices to add to a salad: squid, shrimp, tuna, and lobsters. Are any of these farmed, or can I order them knowing they are all wild? 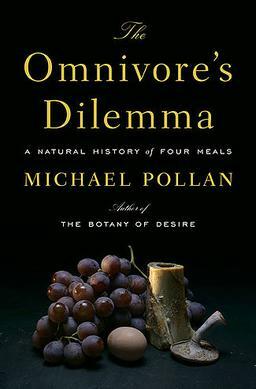 I already know about mercury in tuna; in this instance I am only interested in the farming vs. wild issue. Seafood opens up Pandora’s box. Frankly, the more I read about the fishing and farming of many marine animals, the more turned off I am. There’s the mercury issue with tuna, the salmon farming hot topic, concerns regarding overfishing and completely unsustainable catching methods that threaten to render certain species extinct and practically destroy ecosystems, and then… there’s the issue of Country of Origin Labeling. In regards to your question: tuna and squid are not farmed. 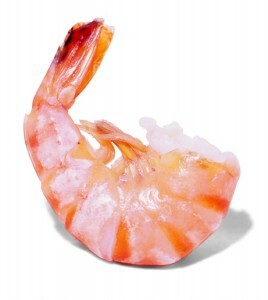 Roughly half of all shrimp in the world are farmed. The vast majority of lobsters, meanwhile, are wild-caught. The shrimp issue is interesting. Whereas shrimp farms in the United States are subject to certain regulations (mainly relating to waste treatment and antibiotic use), the overwhelming majority of the world’s farmed shrimp — mainly housed in China, India, and Thailand — are harvested in awful conditions. Their water is laden with copious amounts of chemicals, antibiotics, and pesticides that are strictly illegal in the United States by the Environmental Protection Agency. Since more than three quarters of the shrimp sold in the United States is imported from those countries (and is very rarely inspected for those substances upon arriving to these shores), chances are the shrimp you eat has not been raised in the most pristine conditions. Making matters more complicated? Depending on the species, farmed shrimp (the US kind) is a more environmentally-friendly choice than some wild-caught species that are obtained through methods that pose very negative consequences on ecosystems. This is where personal choice and priorities come into play. Do you value health over environment? Environment over health? Both equally? Of course, this would all be much easier to navigate if Country of Origin Labeling were implemented more effectively. Currently, United States law mandates that unprocessed seafood served at supermarkets be labeled with the country of origin as well as a “farmed” or “wild-caught” status. For whatever reason, restaurants and specialty stores are exempt from this requirement. One of my absolute favorite resources is the Seafood Watch Pocket Guide, tailored to various different regions. You can also get that Seafood Watch application on your iphone. I use it all the time when purchasing seafood. It’s been very informative and helpful.